Canterbury District Green Party: Greenpeace : Sign the petition to David Cameron. Greenpeace : Sign the petition to David Cameron. 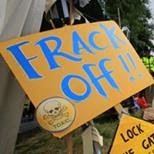 If you haven't already done so, please help the anti-fracking movement by signing this petition to be sent to David Cameron. It already has over 98,000 signatures, add yours to it now. The UK's potential for harvesting wind energy has been demonstrated this week with new off-shore turbines coming on line. On one day in October last year over 50% of Germany's electricity supply came from renewables. (See Clean Technica)The Government must think again about shale gas and oil and we can encourage the PM to do so now with a General Election on the horizon.